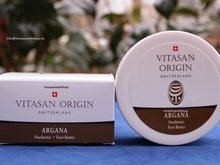 Foot Butter Argana Vitasan Origin Vivasan 100ml - Vivasan Webshop English - World wide delivery Vivasan Official Webshop® is specialized in shipments to the UK, Ireland and Scandinavian countries. Best prices! 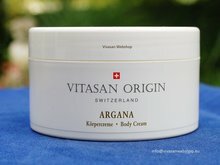 Vitasan Origin Argana Foot butter contains witch hazel, cucumber extract, argan oil, almond oil, vitamin E and d-Panthenol. Argana foot butter provides a pleasant feeling for the skin. The ingredient combination helps to prevent the signs of premature skin aging and improves the skin appearance. Witch hazel works to soothe the skin and the cucumber extract moisturizes the skin so it feels softer. 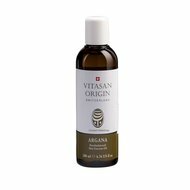 Argan oil, vitamin E and d-Panthenol smooth the skin and enhance its ability to conserve moisture. Massage Argana foot butter gently into the skin of the feet. More often for feet that are overly fatigued. For a particular intensive care, apply the foot butter to the feet before going to bed and leave it overnight. 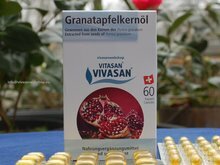 Aqua (Water), caprylic/capric Triglyceride, Cetearyl Alcohol, Polyglyceryl-3 Methylglucose Distearate, Glycerin Sorbitol, Argania Spinosa Kernel oil, Glyceryl Stearate, Hydrogenated coco-glycerides, myristyl Myristate, Prunus Amygdalus dulcis (sweet almond oil), sterayl alcohol dimethicone, Cucumis Sativus (cucumber) fruit extract, Hamamelis Virginiana (witch hazel) leaf extract, Tocopheryl acetate, Panthenol, C12-13 Alkyl lactate, Parfum (fragrance), Phenoxyethanol, Cera Alba (bees wax), Xanthan gum, Potassium sorbate, Butylene Glycol, Lacticacid.